First announced back on Sony’s E3 stage in 2016, the anticipation for Insomniac Games’ Marvel’s Spider-Man is nothing short of fever-pitch, as we draw closer to its release on September 7. 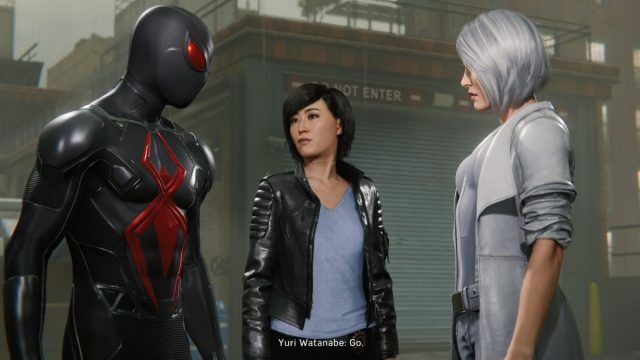 The PlayStation 4 exclusive has a lot to live up to, considering the fervent fanbase the web-crawler has, both in the comics and pop culture. 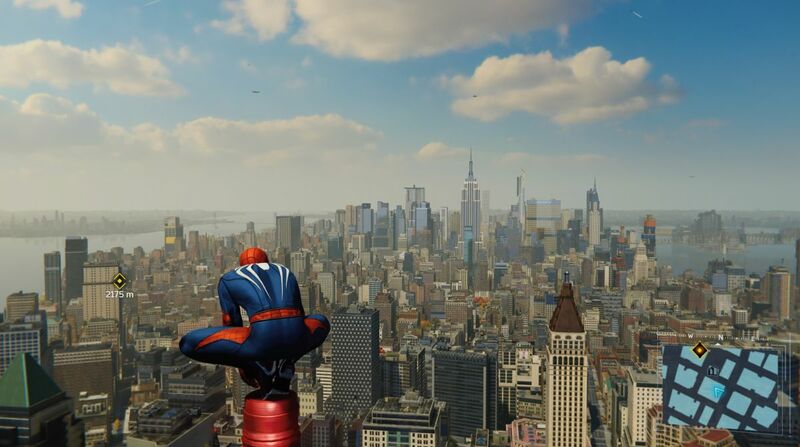 After spending close to 30 hours in New York City with Peter Parker and a wonderful cast of supporting characters, Marvel’s Spider-Man is nothing short of an utterly spectacular adventure that will entertain for hours on end. 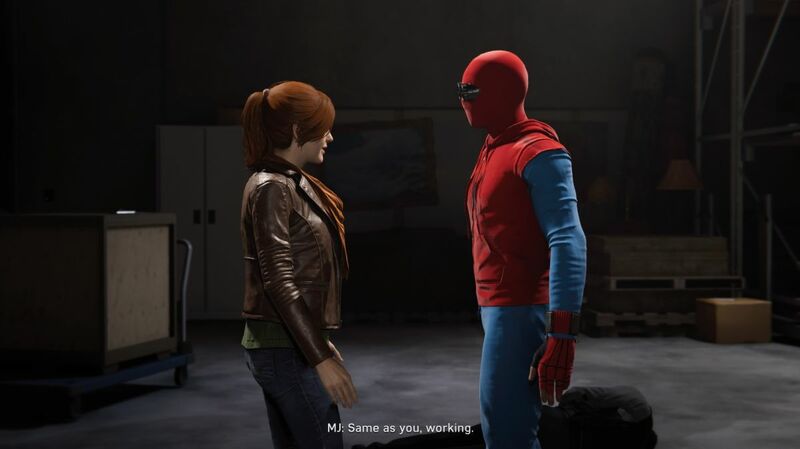 From the moment Spidey swings past Central Park, to the many moments where you have him go toe-to-toe with his sinister rogues, the game grips you with its action and narrative from start to finish. 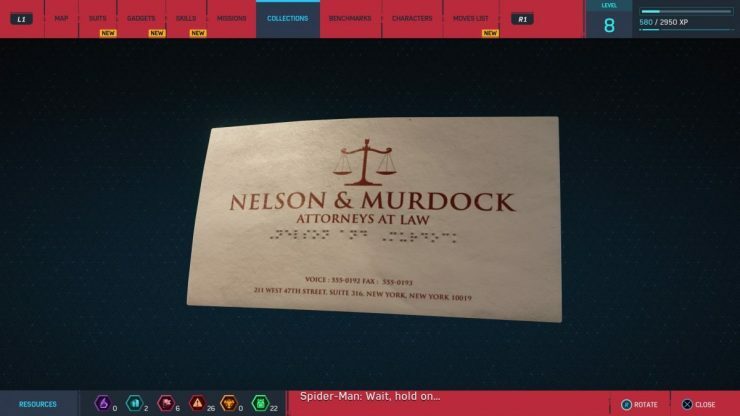 Insomniac Games has pretty much blown all and any expectations out of the water, with an immaculate attention to detail in every way. Eschewing the traditional origin story, Marvel’s Spider-Man picks up 8 years into Peter Parker’s superhero adventures as New York’s protector. 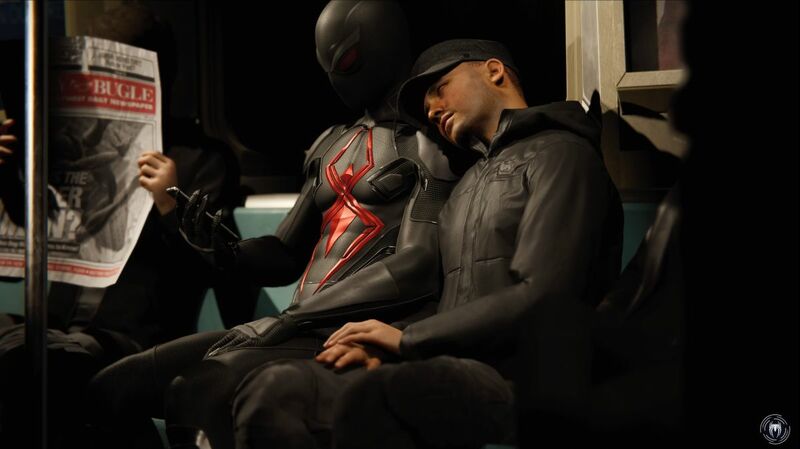 While he continues to juggle work, school, and relationships, things inevitably go awry, and the friendly neighbourhood Spider-Man takes to the skies. When players go up against Wilson Fisk AKA The Kingpin just moments from the get-go, the game establishes that the stakes are undoubtedly high, and the unfolding story, chocked full of memorable figures and familiar faces, is one of the best stories gamers and comic book fans will have the pleasure of partaking in. But this isn’t Stan Lee or Steve Ditko’s Spider-Man brought to life. Insomniac has put their own spin on many of the recognizable members of the Spider-Man universe, putting an air of mystery to the familiar. It is a risky endeavour, but the pacing and crafting of the tale woven here make the creative decisions worthwhile. It is a unique journey that deserves to be applauded, and more importantly, experienced. 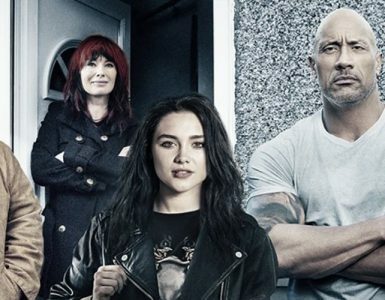 While the well-known names and faces stay the same, the circumstances in which players meet these individuals will make audiences see them in a new light. Their new narrative presence also serves to bring the story together in a well, sensational manner. 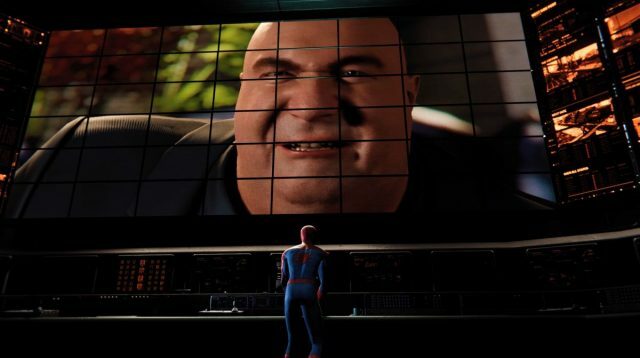 Your emotions, along with Spider-Man’s, can expect to be taken for a few twists and turns, yet no matter the foreshadowing, the satisfaction and impact of the story remains. With a bevvy of criminals and supervillains looking to make New York their own personal playground, it is essential that our hero has the moves and skills to mount a resistance, and thankfully, being Spider-Man is amazing. The way Spider-Man looks, moves, and feels comes close to being perfected in this game. Whether you are running up walls, swinging through the skyscrapers of the city, or web-zipping around, the freedom of movement is a marvel to behold. Forget past Spider-Man games, they are but a poor facsimile of the immaculate system that Insomniac has put in place. Running off a modified version of the Sunset Overdrive engine, Insomniac Games has indeed made the much-lauded movement of Sunset Overdrive even better under the hood of the web-slinger. It shows up in combat as well. 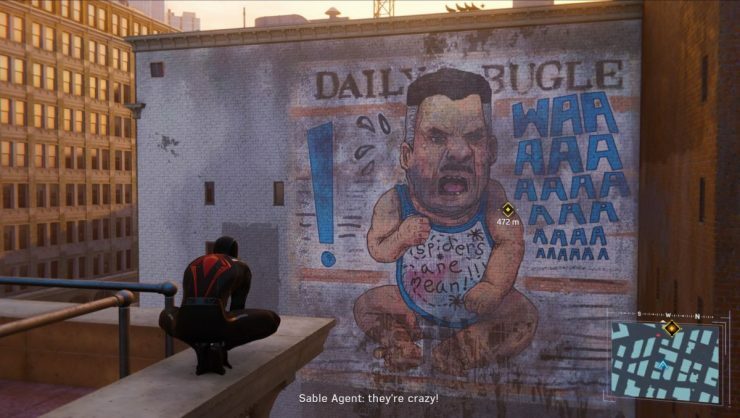 While many would compare the combat to the Arkham series, there is a distinct difference in how Spider-Man dispatches his foes here. 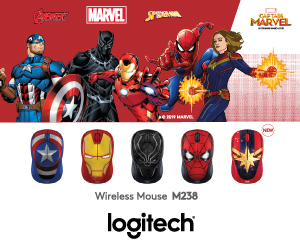 There is much more emphasis on fluidic motion, speed and manoeuvrability, as well as the use of gadgets and various suit powers each costume holds, that drastically changes up your approach to combat. The enemies are tough, even on the default difficulty setting, and you will need more than just button mashing to overcome the many enemy types. Shield enemies require attacks from the back; firearms are deadly and can whittle your health down from afar, and rocket launchers are always a bad sign. The foes only get harder as you progress, bringing new toys to the mix and keeping you constantly on your toes. As you level up, you will unlock new skills that also make you even more formidable. These upgrades allow Spider-Man to move even faster, hit harder, and make life generally more uncomfortable for foes. 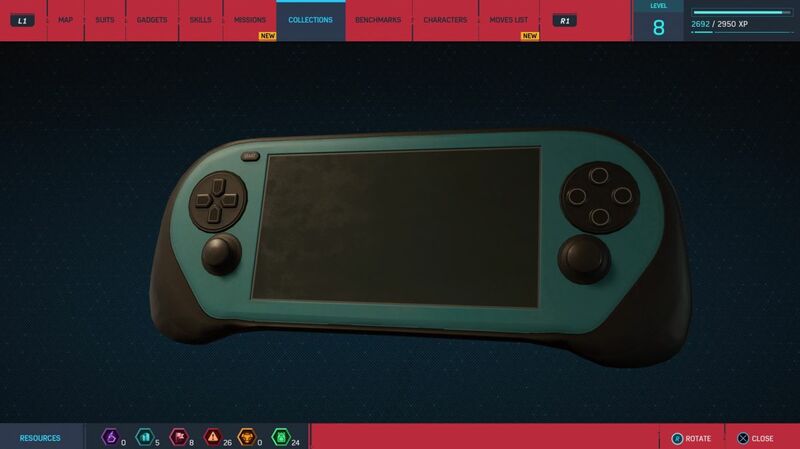 Instant finishes, the ability to disarm the enemies, and even using their own rockets against them – these upgrades and more are invaluable in the fight against New York’s criminal empire. 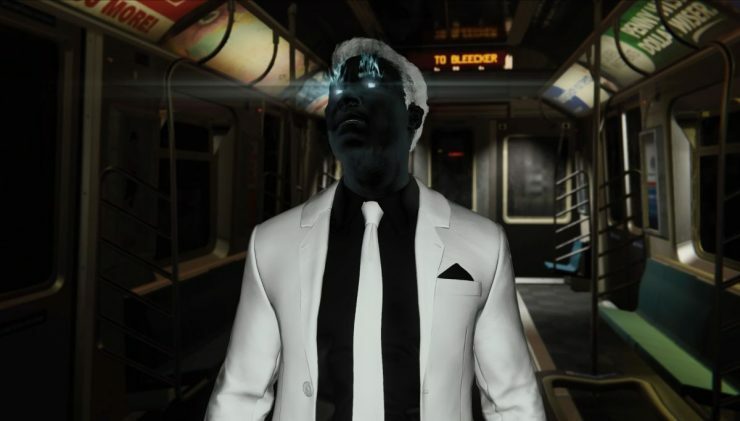 Different outfits can grant special abilities, like becoming bulletproof or making every attack send your opponent flying. Couple that with craftable suit mods, and you will have plenty of configurations to fool around with. 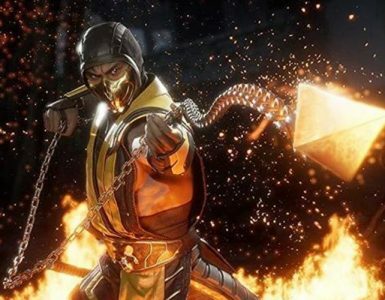 A personal favourite is the ability to generate electricity while doing air combos. Pair that with an electric mesh that zaps any opponent lucky enough to get a strike in, and even Rhino does not stand a chance. Of course, Spider-Man has his tools as well. 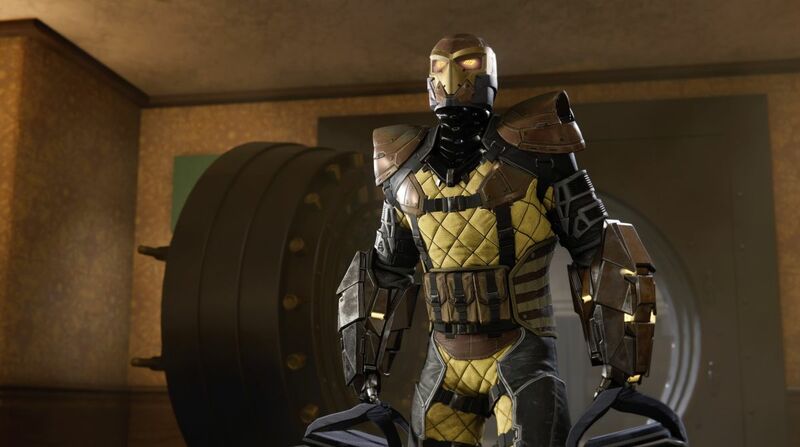 In addition to his combat prowess, Peter Parker packs plenty of gadgets that would make Tony Stark proud. Webbing can temporarily put your opponents out of commission, while trip mines are a great option to set proximity traps, and a good old concussive blast will keep enemies away from you. There are plenty of options to approaching a fight, and there are plenty of scraps to get into during your journey. 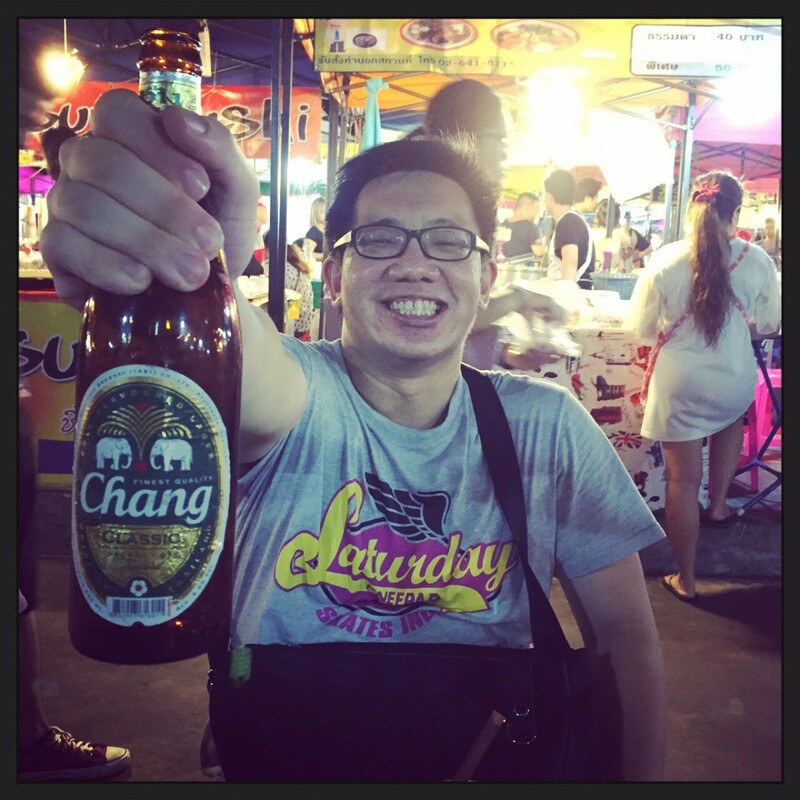 The different scenarios and situations let players experiment with their strategies, and it is always a blast to trade fisticuffs with criminals of all types. 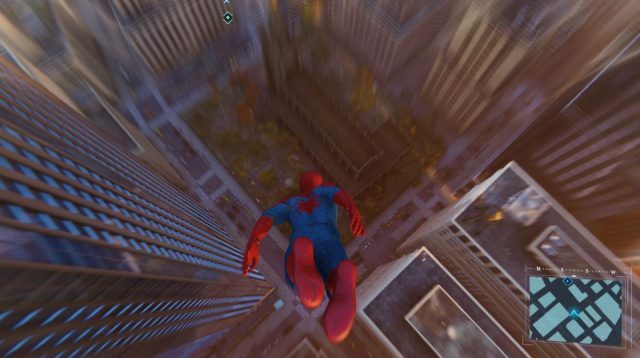 Zipping from foe to foe, getting them into the air, and using your gadgets to incapacitate other goons puts Marvel’s Spider-Man’s combat in a league of its own. When it comes to boss battles, however, it becomes less of a thinking man’s game, and transforms into remembering patterns and repeating them. Not all boss fights can reach the levels of the Deathstroke fight in Arkham Origins, but it would have been cool if there was more to them. 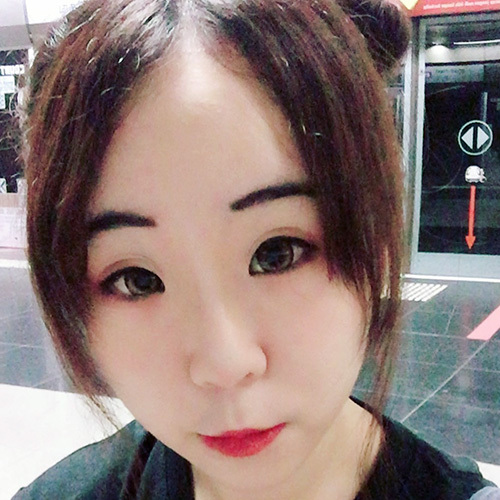 The comparisons do not stop there, as there will be areas where you need to avoid detection and take out the criminals quietly. 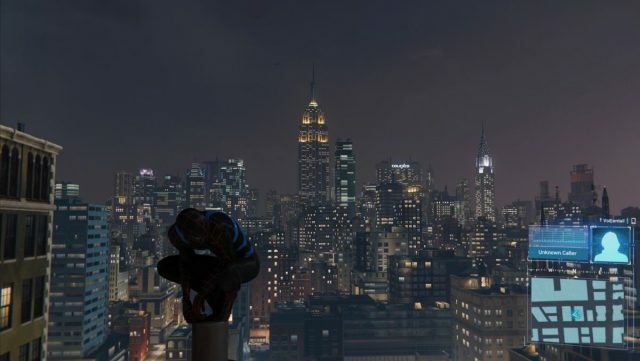 Spider-Man can web crawl, swing, and perch on top of structures to survey the surroundings, before taking down the unsuspecting victims via force, stealth or gadgets. It all inevitably results in an all-out brawl moments later, but stealth mode helps to thin out the numbers for an advantage. There are also certain stealth sections that star Mary Jane Watson, now an investigative journalist for the Daily Bugle. 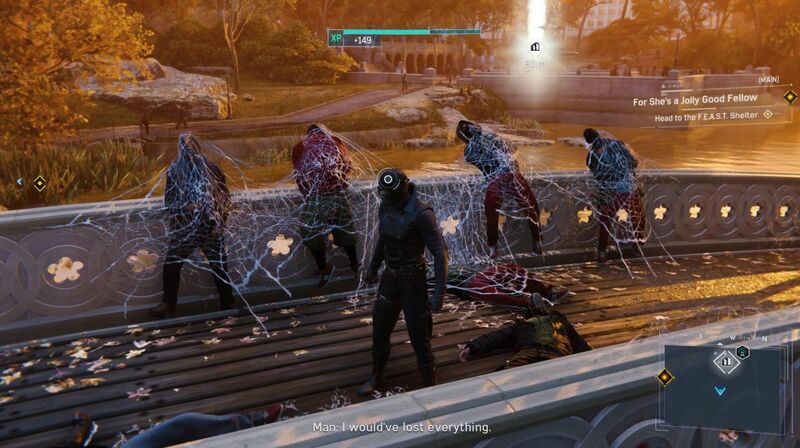 While the gameplay mechanics are less complicated than the combat-heavy action as Spider-Man, these stealth sections are a welcome palate cleanser spliced with the constant action. All the action takes place in the city of New York, which is realised beautifully. 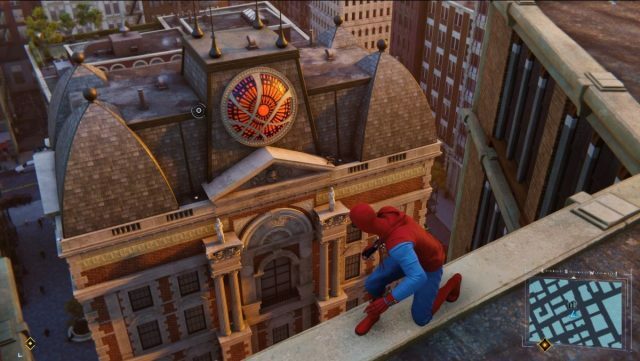 The towering buildings, intricately designed streets, and the many iconic sights both fictional and in real life presents a New York City like never before. 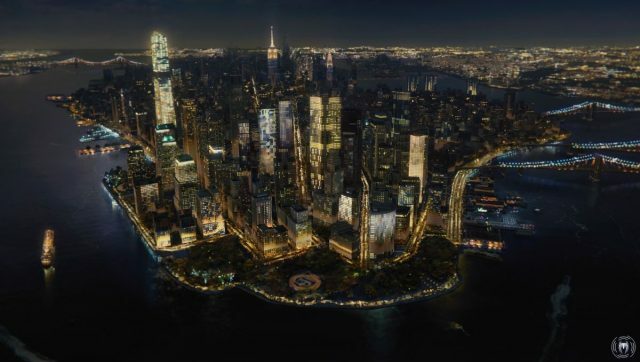 While the milling pedestrians could have used more variety, there is no arguing that this is a definitive version of New York that players would want to explore. 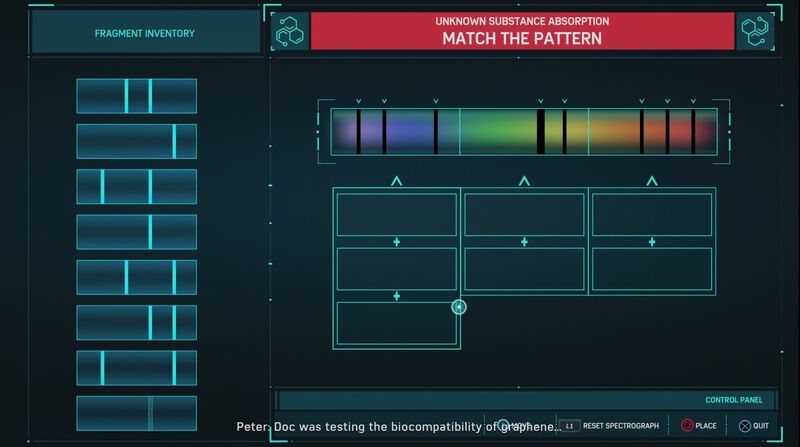 Feel free to swing by the Avengers Tower or the Sanctum Sanctorum, or take a detour past Rand Industries and Alias Investigations – such easter eggs provide plenty of opportunities to geek out at, if you know your Marvel Comics. The in-game lighting is phenomenal as well, especially during the night sequences. 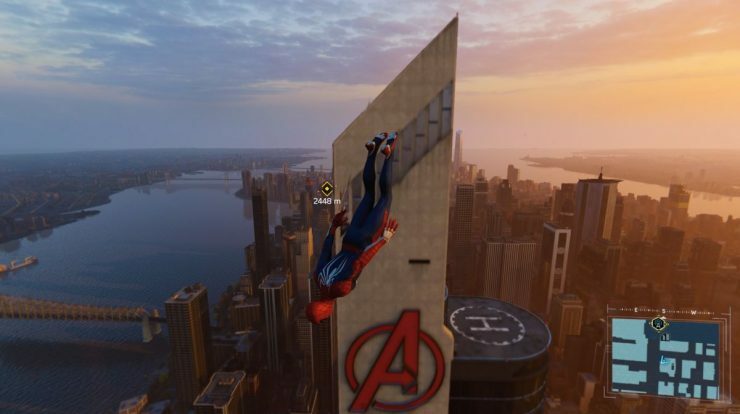 An incoming patch will add in the now commonplace Photo Mode, and players can look forward to having a field day capturing the beauty of the city while zipping by. It says a lot that the fast travel option in the game is one seldom used during this review, as the fun of swinging through the city never gets old. Aside from the main story, the open-world is free for players to explore, right after the encounter with the Kingpin. It is a sprawling metropolis, with side activities aplenty. 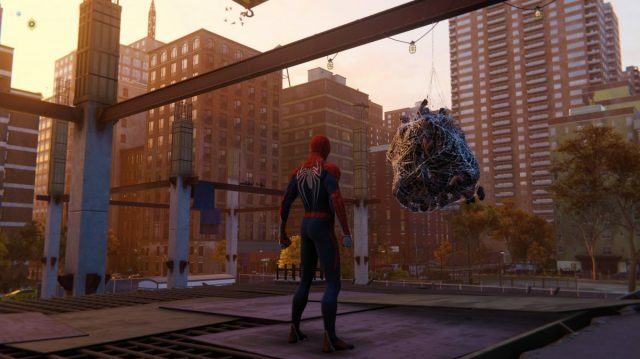 Players can search for old backpacks containing memorabilia and hear Peter’s stories about his early years, or take photos of iconic locations and buildings. 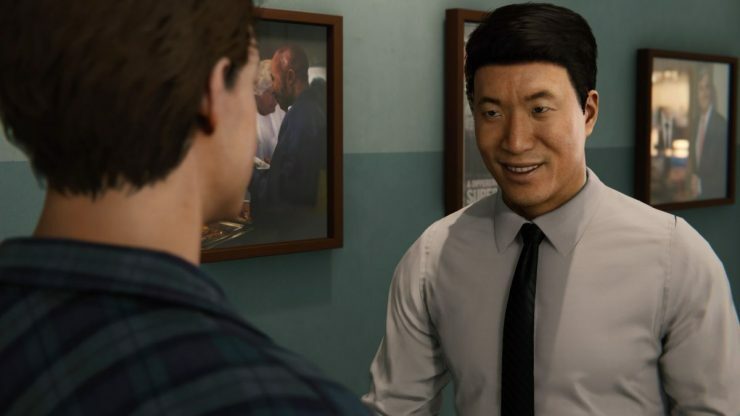 Whether they are tackling random criminal activities, or invading criminal hideouts, the inclusion of several special surprises will likely bring a smile to fans’ faces. 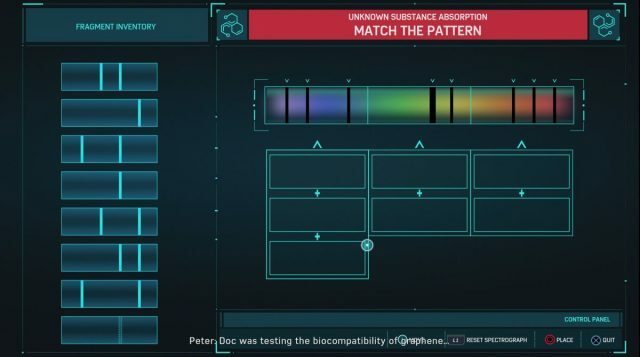 Peter’s job as an intern at a laboratory also lets you take on research projects that require some puzzles to be solved, and the main story is also complemented by several interesting side missions that offer not just more XP, but engaging tidbits as well. 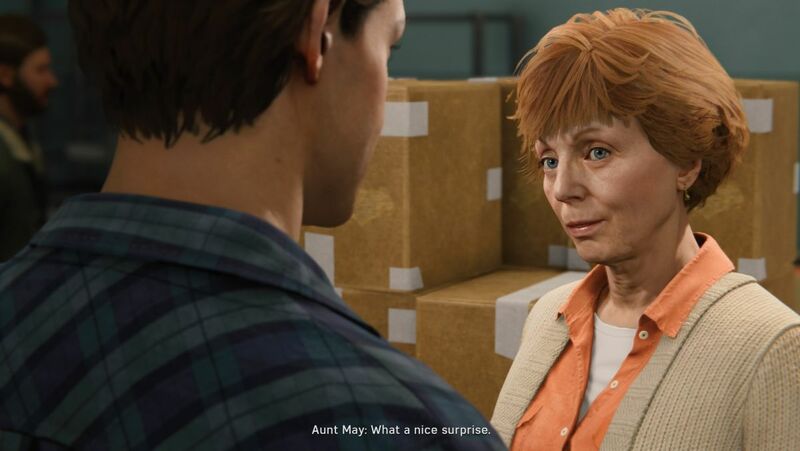 Other than Peter Parker, the supporting cast has been brought to life with great realism and detail, and the voice acting and motion capture of the likes of Aunt May, Mary Jane, Miles Morales, and more, more than do their part in helping sell Marvel’s Spider-Man as a truly, breathing world filled with real people who matter. And it is in these moments of respite from the action that gives the game an almost cinematic feel in its storytelling. 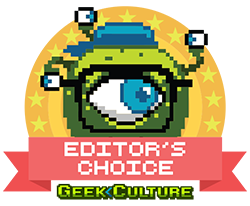 From character moments to choice revelations, the game manages to craft a visual tale that also melds seamlessly with the game. And the way the game often transitions from cutscene to gameplay is simply stunning every single time it happens. Yet, any game, no matter how amazing, is not without its issues. Aside from the aforementioned repeating crowds, and often times less than inspiring boss battles, combat can sometimes cause the camera to go crazy, and cause it to get stuck behind environments and below the surface. There was also some lip sync issues during certain conversations with quests givers. They do not take away from the overall experience, of course, and can often be isolated incidents. But ultimately, every other aspect of Marvel’s Spider-Man comes extremely close to being a showcase of a perfect superhero game. 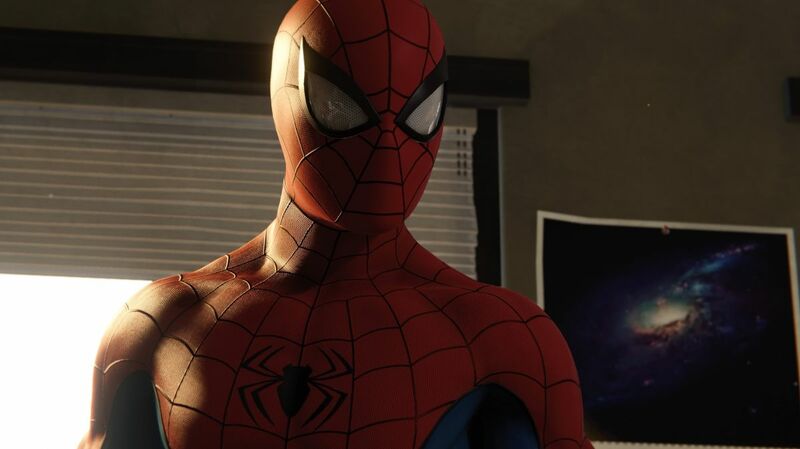 And with such a solid foundation laid down, Insomniac Games’ Marvel’s Spider-Man is a marvellous start of what could be a gargantuan franchise for both Marvel, and Sony PlayStation. 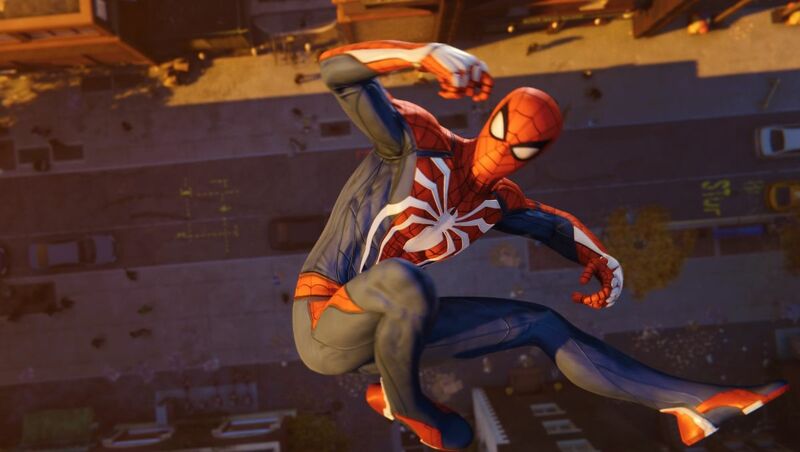 Insomniac Games’ Marvel’s Spider-Man is a spectacular adventure that combines comic book goodness and gameplay magic. The resulting concoction is a sensational one that will leave you wanting more.